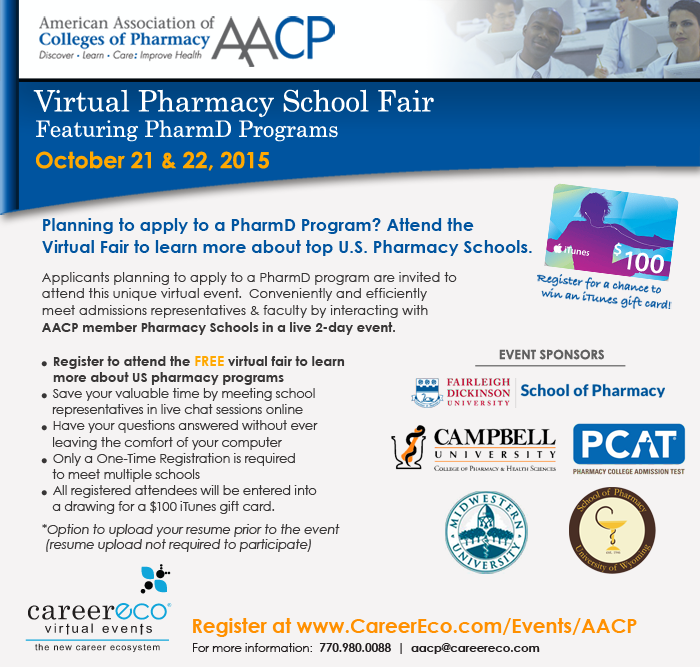 Reports From The Pharm: Let's meet -- VIRTUALLY! UCSF School of Pharmacy representatives will, once again, "attend" the Virtual Pharmacy School Fair on October 21 & 22. Last year we "met" many terrific prospective students. This is a great opportunity for you to ask questions, get information, or just lounge in our "room" -- all in the comfort of your own home! We expect to staff our room from 8am - 5pm PST. Register now to attend this free event.